Applications open from 01 December 2017 and close on 22 April 2018. No applications after the deadline will be considered. Applicants must compete an online application on the Fulbright Foreign Student Program website. 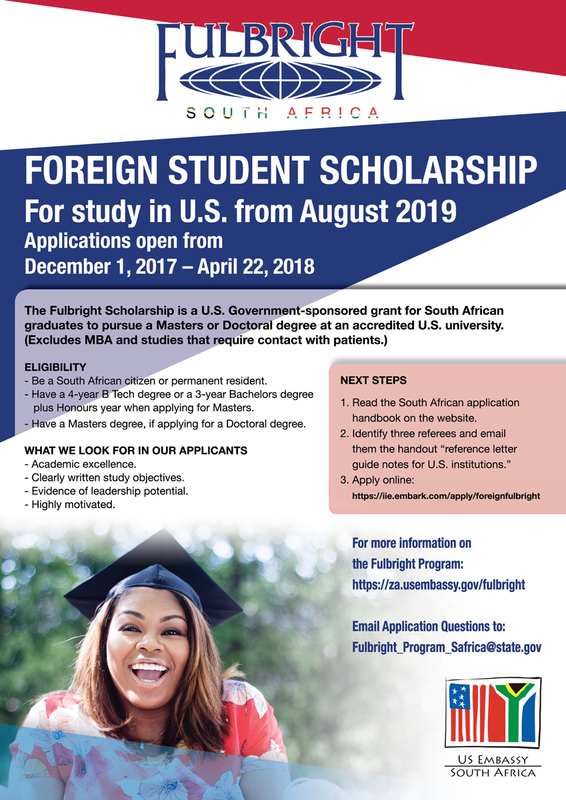 Fulbright Program (US Embassy website).